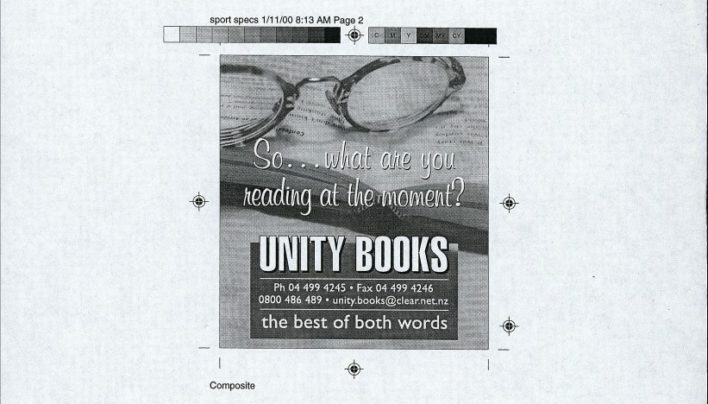 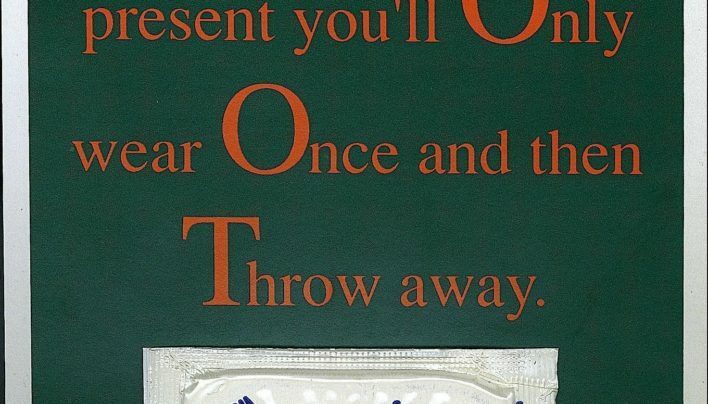 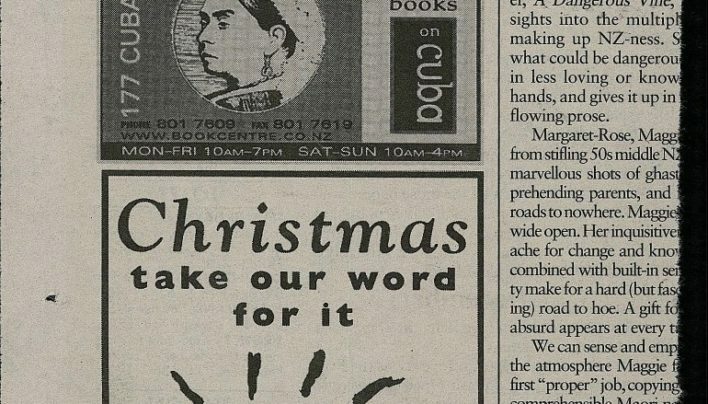 A proof copy of our Christmas advertisement for 1999. 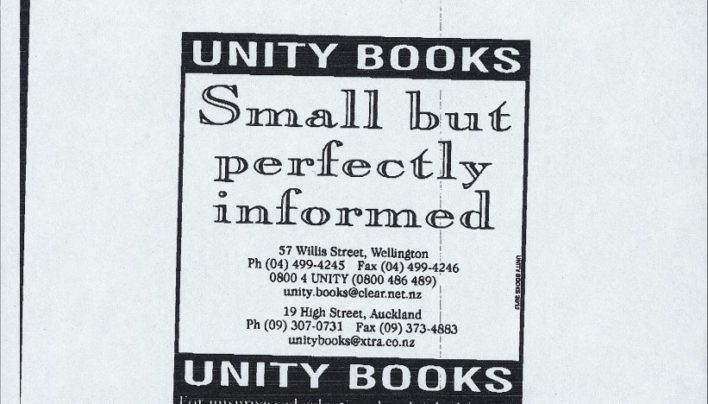 Our Summer advertisement from 2004. 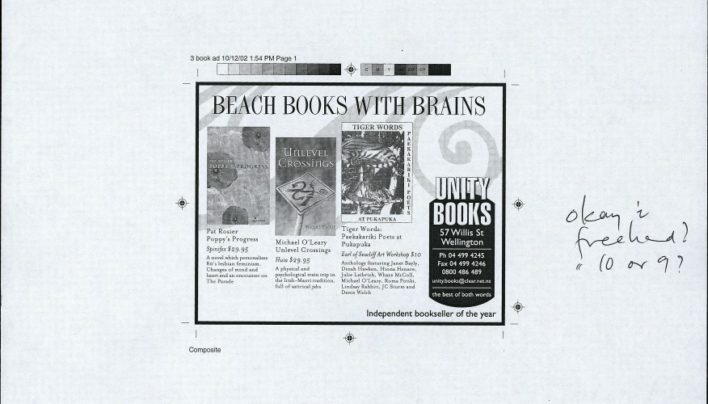 Our summer advertisement, featuring “beach books with brains”. 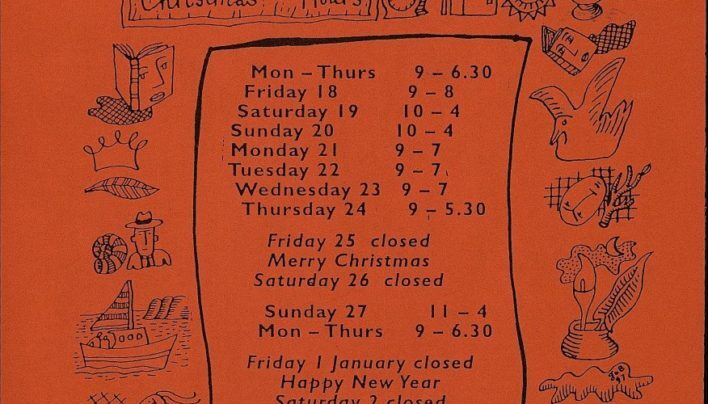 A poster advertising our Christmas Hours for 2000. 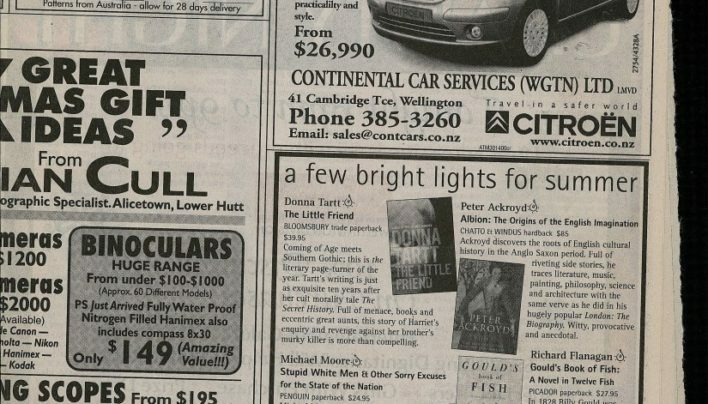 Our advertisement for Christmas in City Voice. 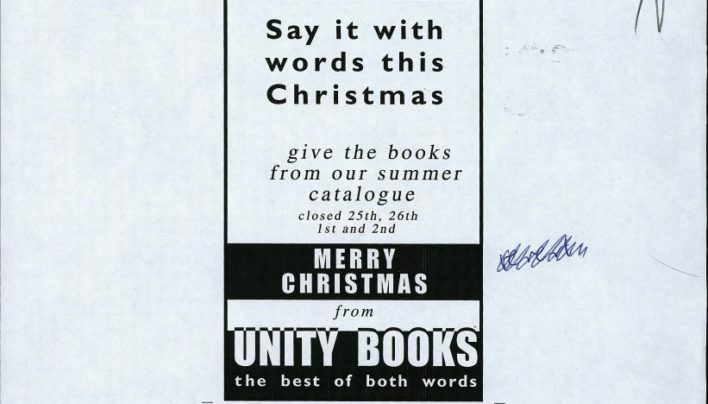 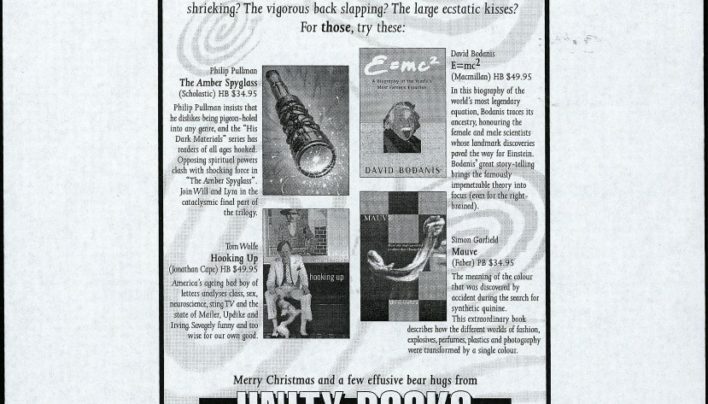 Proof copy of our Christmas 1998 advertisement.